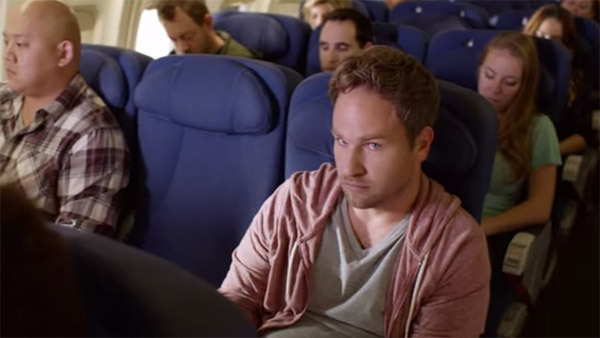 A still from Scott Zabielski's submission to the Doritos Crash The Super Bowl contest, titled "The Middle Seat." CHICAGO (WLS) -- Scott Zabielski, originally from Long Grove, Ill., is one of 10 finalists in the Doritos "Crash the Super Bowl" commercial contest, an online competition where filmmakers have the chance to see their video be a commercial during the Super Bowl. Zabielski's video, called "The Middle Seat," was selected from a pool of almost 4,900 entrants from 29 countries by Doritos to be a finalist. The grand-prize winner will be selected based on viewer votes and a first-prize winner will be selected by Doritos. Both winners will see their ads aired during the Super Bowl broadcast. Voting is currently open. Zabielski studied film at the University of Southern California and, while in college, was a finalist in the Coca Cola Refreshing Filmmakers contest. He is currently a director and executive producer at Tosh.0 on Comedy Central, and lives in Los Angeles.